Race season is here! The weather is improving. Sometimes slowly. But it's getting better! There is no time like the present to start registering for those races to motivate you to MOVE! 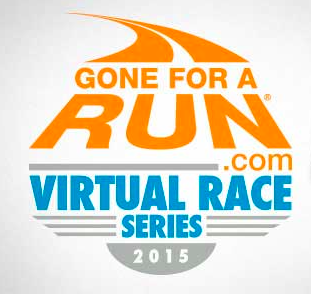 Gone For A Run is hosting a Log Off, Shut Down, Go Run 10k Race. Even better is that you get some rather awesome swag with this race! *You'll receive your race swag before you run. *The medal will come separately and will arrive to you prior to your race day! I'll be participating in this year's 10k - it will be the perfect race to follow up Boston. To be entered for additional raffle prizes from Gone For A Run, you can share your recap on there Facebook page here. Some of the raffle prizes include some best selling Gone For A Run items such as the BibFOLIO, Hooked on Medal Medal Hanger, Medal Hook, Beach Towel, and Decorative Throw Pillow! Disclosure: I am a Gone For A Run ambassador. I was compensated for this post with a free entry to the race. I was not required to provide a positive review. As always all opinions expressed on my blog are 100% my own.